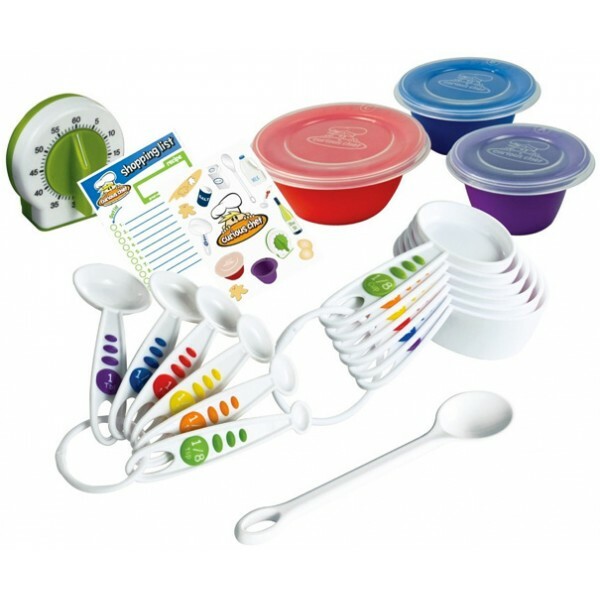 This Measure and Prep Set from Curious Chef is perfect for your budding cook! 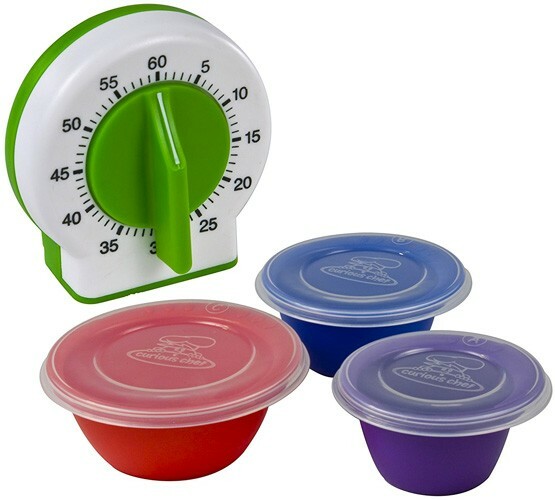 These are great for pretend play, but they are real kitchen tools, specially sized for smaller hands. 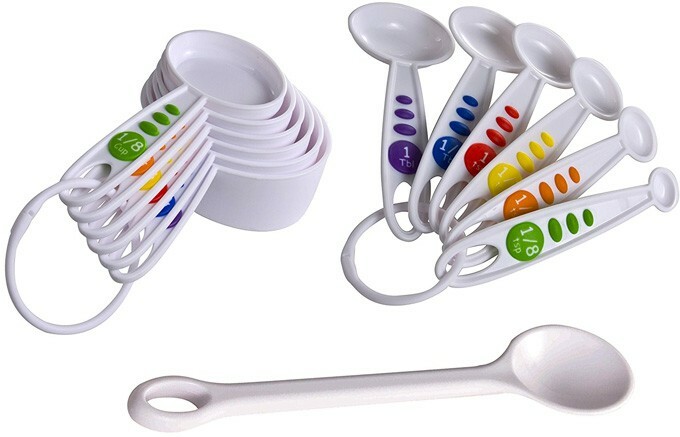 The Measure and Prep set includes 6 measuring spoons, 6 measuring cups, a large mixing spoon, a timer, and a 3-piece mixing bowl set. A bonus sticker sheet and shopping list finish the package! 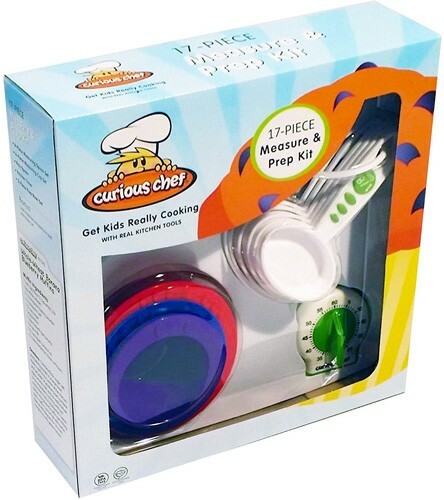 Curious Chef is the first complete line of real cooking tools designed specifically for children. 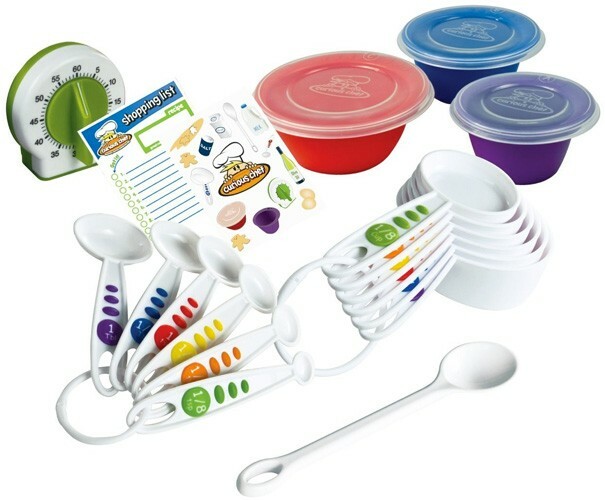 The mission of Curious Chef is to promote learning, bonding, and, of course, fun! 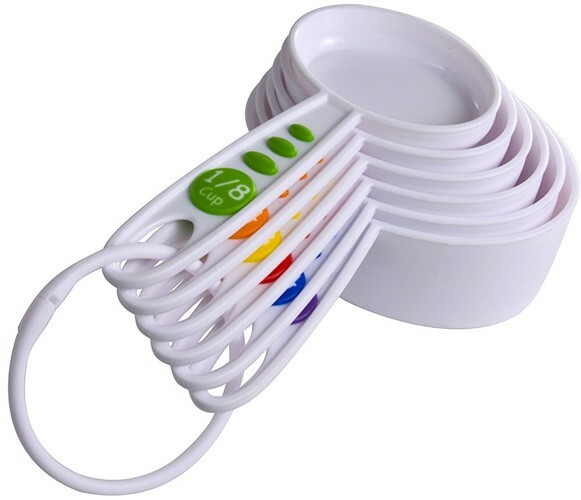 All Curious Chef tools are dishwasher-safe for easy cleanup after the cooking is done.